If you live in the Fort Collins area and you’re looking for an experienced and professional moving company, be sure to contact Choice Moving Company today. As a leading provider of moving services along the Front Range, we cater to both residential and commercial clients, offering a wide range of unbeatable moving services at affordable rates. As a fully licensed and insured company, we can assist you with any part of the moving process. Our mission is to take the stress out of your next move, and we offer free, accurate estimates and in-home inspections to make your life easier. The process of finding a great moving company can be challenging, but with a little research it shouldn’t be hard to narrow down your options. When looking for a moving company to work with, consider the tips below. Before you hop on the internet and start searching for local moving companies near you, consider asking a few friends and family members for recommendations. There’s a good chance you know a few people who have hired a moving company, so it may behoove you to inquire about their experience in order to find the best match for you. If you don’t have any luck getting recommendations from your friends and family, it’s time to start looking for moving company reviews online. A reputable moving company should have an array of reviews, and reading these will give you a better understanding of the professionalism and work ethic of each moving company you’re interested in. You can check ratings with the Better Business Bureau (BBB), as well as other sites like Yelp and Citysearch. 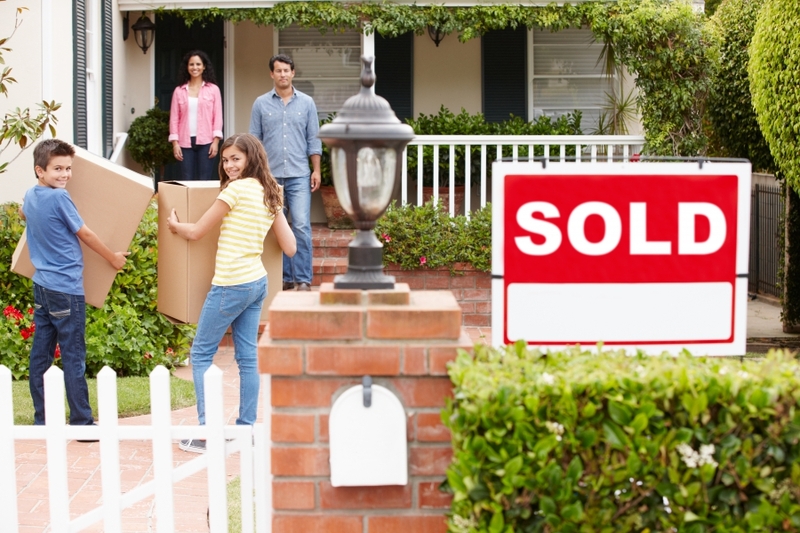 Once you have a few local moving companies that you are interested in, you’ll want to look at moving rates. While you can call each moving company to inquire about a rate over the phone, it’s better to schedule an in-home consultation to receive an accurate estimate on your potential moving costs. It’s also important to keep in mind that many moving companies have a base rate for their services, which doesn’t normally include additional packing materials and moving heavy objects like big screen TVs and pianos. If you’re like most people, you’re going to be attracted to the lowest moving estimate you come across. Keep in mind, however, that this isn’t always necessarily the best choice. It’s also important to inquire as to whether or not the contract is binding. If you sign a non-binding contract, the price of your move may be much higher than you were originally quotes. The ultimate advice for hiring movers is to get various quotes from various local moving companies. It is often considered a big mistake to accept the very first offer that comes your way, so be sure to compare your quotes carefully. Be sure to keep in mind the professionalism and history of each company, along with your personal needs and budget. While there’s absolitely nothing wrong with hiring your cousin to bring their truck to your house to help you move, keep in mind that he or she is not insured for moving your belongings. Most professional moving companies are insured to help protect themselves and their customers from accidents or mishaps. Should any of your belongings be damaged or lost during the moving process, the moving company you work with will be able to help you recover those items. A moving company that refuses to give you an in-home estimate. If a moving companies gives you a price estimate over the phone or via email, be wary. Most moving companies do not give estimates without seeing the property, and the last thing you want is to expect one price, only to have to pay a higher one. A moving business that gives you a low-ball estimate. Don’t be fooled by that low price tag. If your moving estimate looks or sounds too good to be true, we advise you to run the other way. Dishonest moving companies love to use this tactic to secure moving jobs, only to increase the price considerably once they have your valuables in their possession. Moving from one home or office to another can be incredibly stressful. Once you find the perfect place to relocate, it’s up to you to gather supplies and figure out all of the logistics. To make your life a little easier during this hectic time, it’s always wise to hire a professional moving company to assist with your move. Hiring a team of movers is a wonderful way to simplify the entire moving process. Professional movers won’t just take all of the heavy lifting off of your hands, they’ll ensure that your moving days runs as smooth as possible, so you can focus on settling into your new space. Contrary to popular belief, hiring a professional moving company can actually save you money on your moving expenses in the long-run. When you attempt to move across town or across the country by yourself, you’ll have a laundry list of things to keep track of: You’ll need to secure all of your packing supplies, pack your belongings, rent a moving truck, load up the van, and make the haul to your new place. At Choice Moving Company in Fort Collins, our professional and courteous staff will take all of the guesswork out of moving for you. We offer both residential and commercial moving services throughout Northern Colorado, and we would be happy to assist you with your upcoming move. Let’s be honest, not everyone has a dollie or large ramp lying around for moving day. Trying to gather all of the essential moving equipment on your own can be extremely expensive, but when you work with a local moving company, you won’t have to worry about trying to attain furniture pads, ramps, and a truck the day of your move. 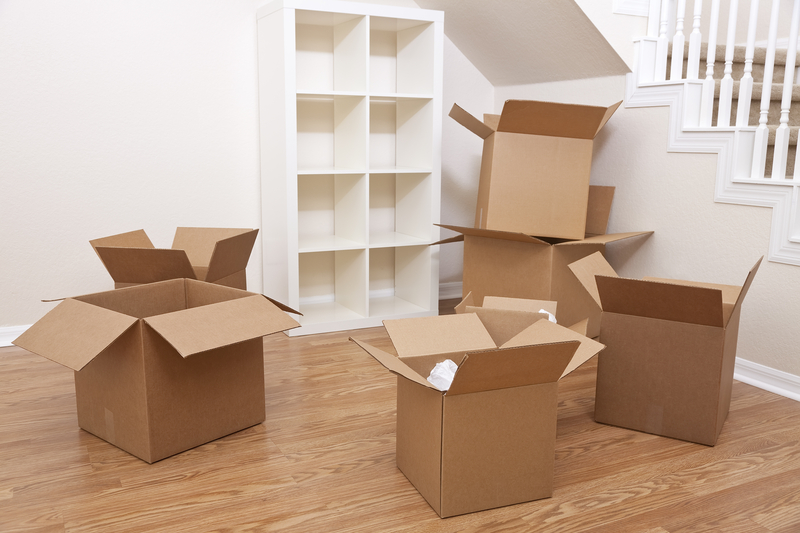 Packing can be a daunting task, especially if you’re moving an entire home or office. When you hire a full service moving company to assist with your move, they can help you safely and securely pack up all of your belongings. When you hire the moving specialists at Choice Moving Company, we’ll do everything we can to ensure your belongings are packed safely. Our moving team will shrink-wrap and blanket pad all furniture, along with providing you with disassembly and reassembly services for those bigger pieces of furniture. Upon request, we can also apply floor, banister, and door frame protection at no additional charge. Still not sure if Choice Moving Company is the best fit for you? Check out a testimonial from one of our happy customers below. “I was pleased with our movers and the help they offered us. The truck was nice and clean and neatly organized so they did not have to make multiple trips. They fit my entire 3 bedroom house in one load!” – Caroline C.
One of the best reasons to hire a moving company is to take some stress off of your shoulders. Professional movers will have the skills and knowledge to help you move all of your belongings in a safe and timely manner. When you don’t have to fret about packing up your son’s room or driving a large moving truck, you’ll have more time to get settled in your new home. Nervous about moving that box of fine china? Afraid to load that baby grand piano into the back of the moving truck? If you answered yes to any of these questions, you should definitely consider hiring a professional moving company. At Choice Moving Company, our number one goal is to ensure all of your possessions are safe during your move. That’s why our moving staff is fully licensed and insured, so if anything becomes damaged during the moving process, it will be covered under our insurance. Whether you’re moving your office due to company growth or you’re looking for a better space for your employees to get their work done, relocating an office space can be very overwhelming. Luckily, the more time you spend preparing for your relocation up front, the less downtime you’ll have at the office. Moving offices is the perfect time to part with old office equipment and supplies. Not using that old printer that’s sitting in the office supply closet? Donate it. Wondering what to do with that office couch that won’t fit into your new space? Donate it. It’s really that simple! Why pay for office supplies to be moved, if you haven’t used it in a while? You can also get a tax break when you donate your office supplies to a registered charity. Your move-in date will sneak up on you, so it’s critical to start packing early on. This is especially true if you don’t plan on hiring a professional moving company, as you’ll need to gather moving boxes, furniture pads, tape, bubble wrap, and the like. For things like computers and printers, each item should be wrapped individually in thick moving blankets or bubble wrap. It’s also a good idea to mark each and every one of your boxes so you know where to put them in the new space. Make sure to mark the boxes on all sides to make it easier to locate specific items. If you plan on hiring a moving company to assist you with the move, make sure to call them one or two months in advance to secure your move-in date. Once you know that you’ll be moving to a new office space, you can scope out the building and plan the layout ahead of time. If you’re feeling extra prestigious, consider drawing up a map or floor plan of the new space to send to your staff, employees, and movers. The last thing you want to do is move into your new office space, only to realize that you don’t have the office equipment you need. If you plan on ordering new employee desks, chairs, whiteboards, or electronics, we recommend doing so one or two months before your move date. One of the most important steps to take when moving your office is to properly notify your clients and service providers. We suggest that you make a list of everyone that you currently do business with, as well as everywhere you advertise. Go down the list and notify each contact to make sure noone is left in the dark when you relocate to a new space. It’s also critical that you update the office address on any company stationary, business cards, and your website. Choice Moving Company is your go-to residential and commercial moving company in Fort Collins. We offer full service moving services, loading and unloading, and packing and unpacking services to make your move convenient and stress-free. Our moving staff is professional and courteous, and our company is fully licensed and insured, offering you protection on your belongings. 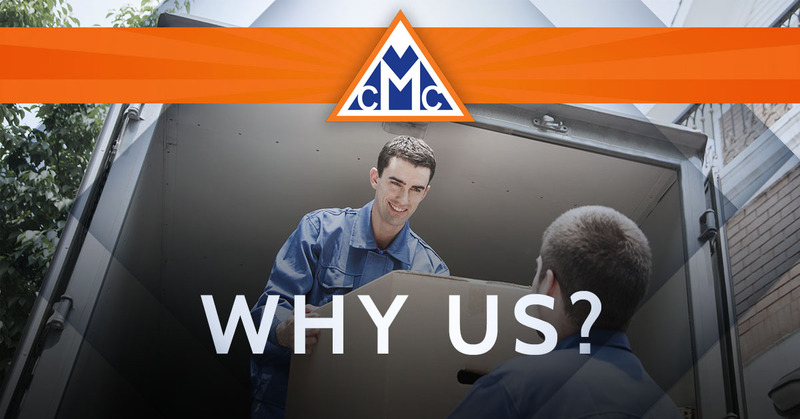 If you’re interested in learning more about our moving services along the Front Range or you’d like an estimate of your home or office move, contact us today!